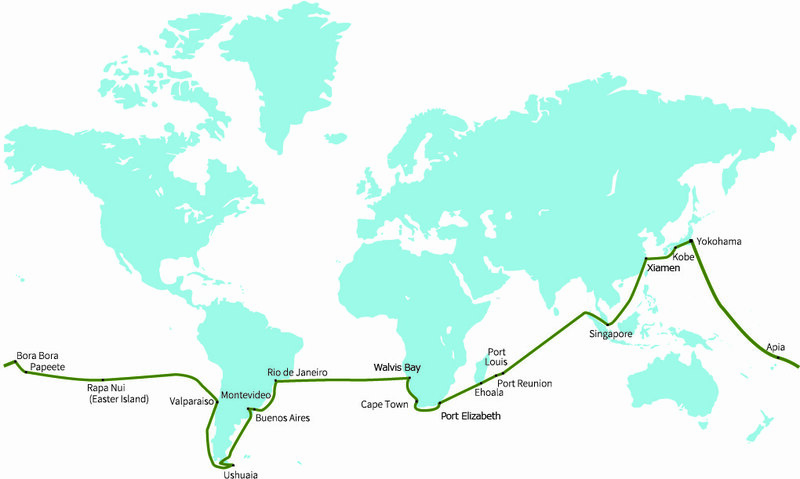 This voyage traverses the Southern Hemisphere to explore the awe-inspiring nature of Madagascar, South Africa, Bora Bora, Argentina, and more. Experience Africa’s rich natural heritage on safari in South Africa and among the vibrant flora and fauna of Madagascar. Enjoy the breathtaking view of hundreds of endlessly cascading waterfalls in Iguazú Falls. You will explore the world’s oldest desert, the white beaches of Bora Bora, and the vibrant streets of Rio de Janeiro. For an extra fee, join a special expedition to one of the least-explored corners of the world: the great continent of Antarctica. 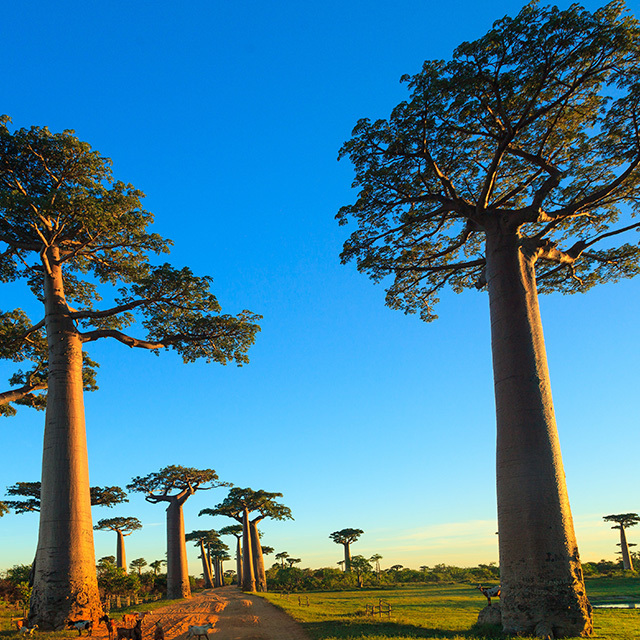 The island of Madagascar is an oasis, boasting an incredible diversity of plants and animals including the dancing sifaka lemur, the beautiful blue coua bird, and the black-and-yellow streaked tenrec. Most of this island’s wildlife can’t be found anywhere else in the world. 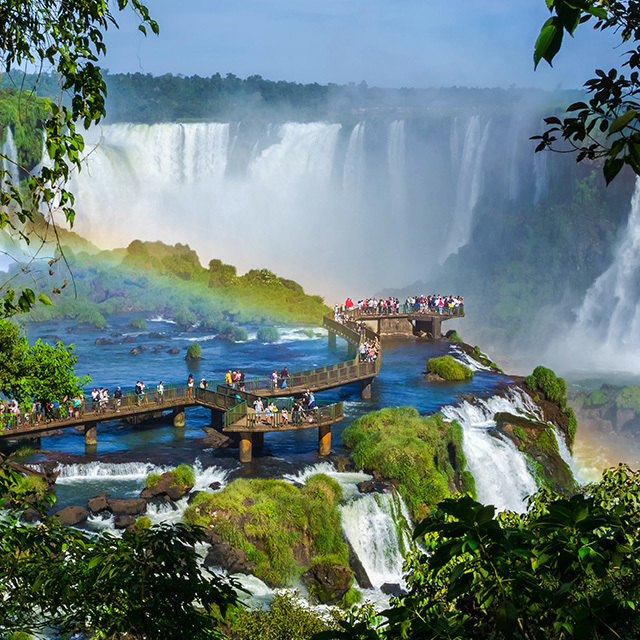 Iguazú Falls stretches for three kilometres along the border of Brazil and Argentina, where the Iguazú River spills down from the Paraná Plateau. Faint rainbows of light and the crashing sound of over 200 waterfalls lend this place an otherworldly aura. 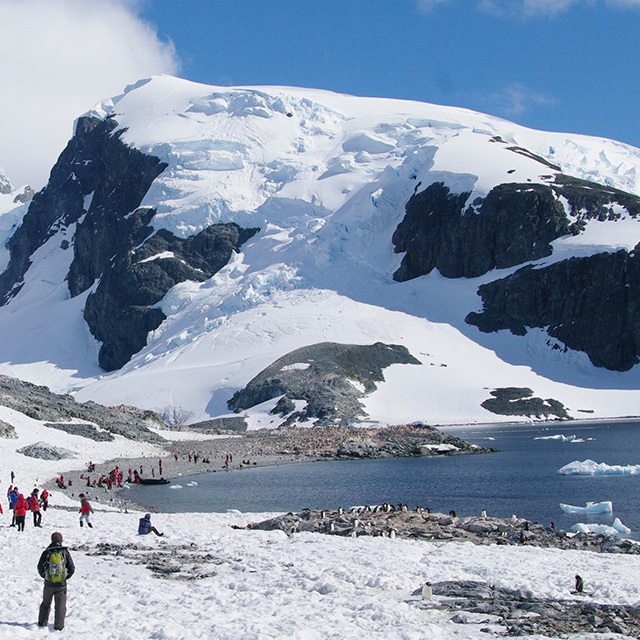 Upgrade your trip for an additional journey to the great wilderness of Antarctica. For centuries, the continent has attracted daring explorers and adventurers, and you’ll see why: its vast beauty, uninhabited plains, and scores of rare wildlife are impossible to resist.